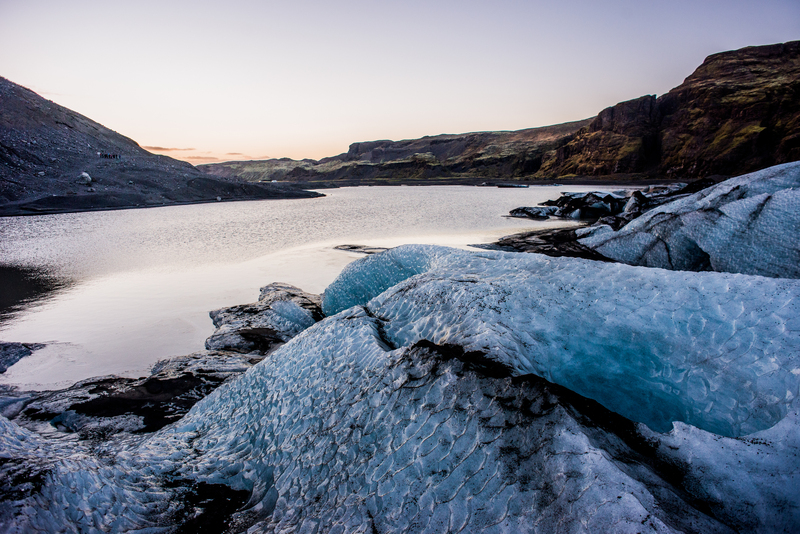 Until we visited Iceland, the only times I saw glaciers were in the movies or national geographic documentaries. It always made me wonder, how it would feel to be standing near to one. How the place around will look like covered with ice and all you see is Ice and Ice and Frozen Ice. 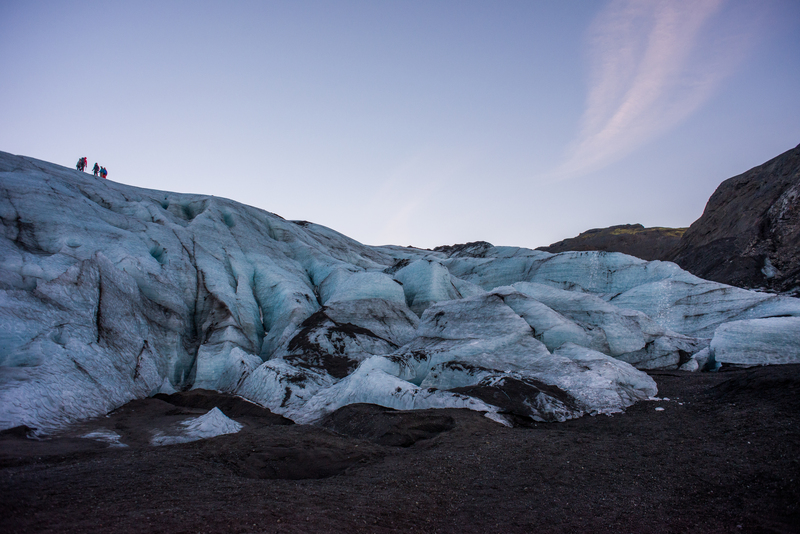 So me and Ash decided to visit one of the glacier in Iceland from much closer distance. We did not go for glacier hike, but we want for a small walk on top of it and to feel the aura around it. 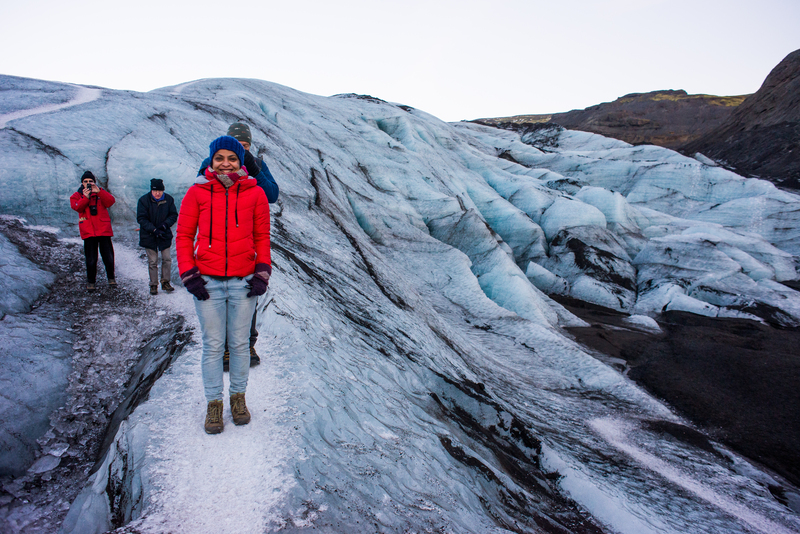 We decided to visit Sólheimajökull Glacier on the south coast, and just 2 hours drive away for Reykjavik. Sólheimajökull, a glacier outlet from the fourth largest glacier in Iceland, Mýrdalsjökull. I can not express in words how beautiful that sight was. Cold, yes freezing cold but a sight that will remain in your memories forever. Those different formations of Ice clinging to one another, caresses that it was forming one after another, it looked like you are standing in a land of crystals. And the roughness of black volcanic sand adds so much beauty to the landscape. Happy us trying to walk over the glacier with our hiking boots. Nice set of images. 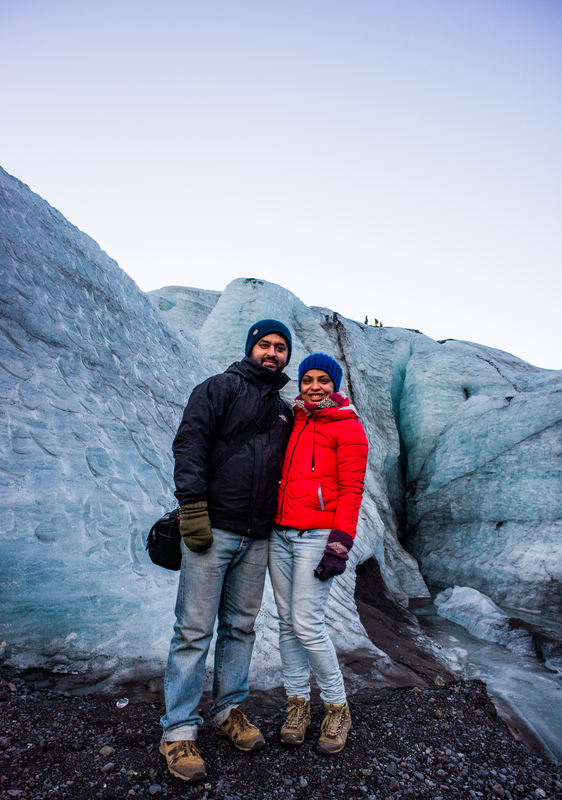 We saw glaciers for the first time in Iceland and they are amazing. Cheers! Thank you so much 🙂 FOr us as well it was the first experience and we were so delighted. I wish I could go back soon again !! I love the way the ice is looking. Thank you Vibha. It was amazing, so many different forms of ice. Just wonders of mother nature. Absolutely beautiful place! On a second thought it doesn’t even resemble usual surface of earth! Thank you so much dear. It does look like an alienated space and so wonderfully beautiful.